Inter Milan need to strengthen their defense. 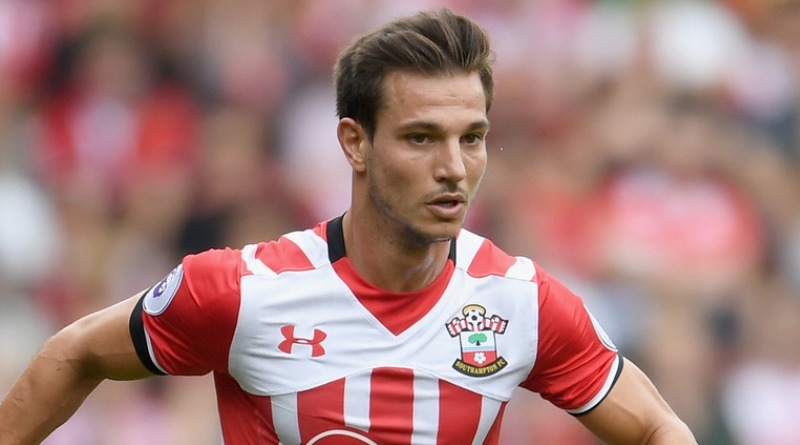 According to the football transfer rumours in Italian media, Southampton right-back Cedric Soares is in advanced negotiations with Inter Milan. The Portugal international joined Southampton from Sporting CP for a fee in the region of 11 million euros in July 2015. His contract expires in the summer of 2020. This season, Soares has scored one goal and provided two assists in 22 appearances for Southampton. The 27-year-old is considered to be one of the best right-backs in Portugal. As a member of Portugal national football team, Soares won 33 caps and he scored one goal. His performances have seen him become the target of many European clubs including Inter Milan. Luciano Spalletti is a known admirer of the player and is reportedly keen on the idea of bringing him this winter. Cedric Soares would provide a good variety to Inter Milan’s defense. Southampton are preparing to sell their right-back should they receive a massive offer for him.